Varun Dhawan-Alia Bhatt is one of the cutest couples in Bollywood. Since the release of their first film — Student of The Year, the duo’s on-screen chemistry remained a talking point. Even in their latest release — Badrinath Ki Dulhania, we saw their crackling equation. The film is doing great on box office and is on a success spree. While she was already basking in the success of her back-to-back hits, Bollywood made her birthday unforgettable on March 15. The entire B-town including Karan Johar, Shah Rukh Khan, Siddharth Malhotra made her birthday special, but Varun decided to wish her a day after in the most adorable way. As the reports of Varun travelling to Thailand with alleged girlfriend Natasha Dalal were doing rounds, he knew he wouldn’t be available for the party. 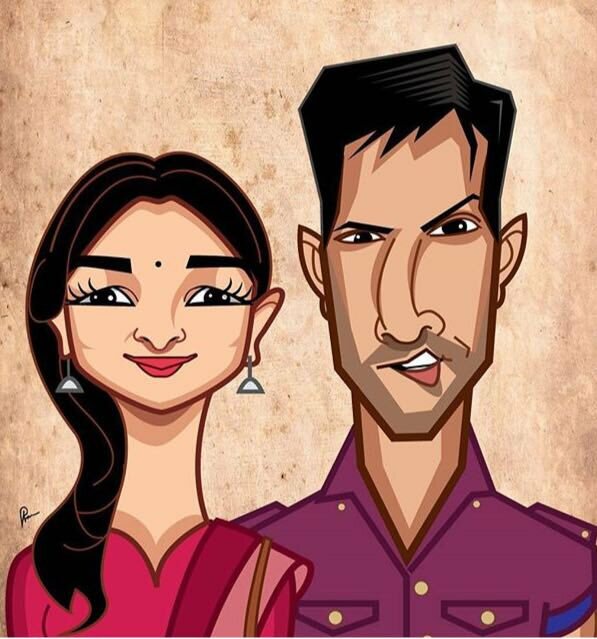 And finally, on Thursday, Varun took to Twitter and shared a cute cartoon of Alia and himself captioning it, “Badri toon @aliaa08 24 years of the dulhania.” This is what we call a beautiful wish with a perfect way to promote their film. Badrinath Ki Dulhaniya is not the first film Varun and Alia, they have already worked in the first part of the franchise — Humpty Sharma Ki Dulhaniya. Directed by Shashank Khaitan and produced by Dharma Productions, Badrinath Ki Dulhania is a rom-com that revolves around the love story of Badri and Vaidehi. The USP of the film is its songs and of course Alia-Varun’s adorable chemistry. The film, released last week, has done a business of more than Rs 75 crore and is expected to cross Rs 100 crore soon. Currently, both Alia and Varun are on break and busy with their personal life. While Varun is out on vacation, Alia is busy in sharpening up her cooking skills.